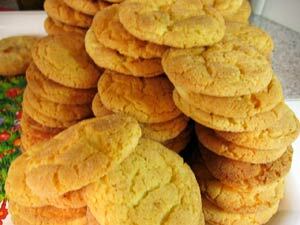 Snickerdoodles are old-fashioned cookies dating back to Nineteenth-century New England. This first snickerdoodle cookie recipe is simple and delicious and results in basic crisp and chewy sugar cookies rolled in a mixture of cinnamon and sugar. Snickerdoodle cookies have stood the test of time and may be as popular for their funny name as their delicious taste! Are you looking for an easy recipe for snickerdoodles to turn to when your pantry is bare? 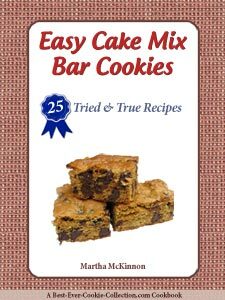 We have a delicious and easy recipe that relies on the convenience of a cake mix. With only 6 ingredients, you can stir these simple cinnamon and sugar cookies together in minutes. These shortcut snickerdoodles are perfect for making with the kids, since minimal measuring and no special equipment is required. They will love to help you roll the dough balls in the mixture of cinnamon sugar! If you want an simple snickerdoodle cookie recipe that is even easier, we have also included one that begins with refrigerated sugar cookie dough. They are the perfect way to enjoy freshly baked snickerdoodle cookies without having to mix and measure. Remember to only place your balls of snickerdoodle cookie dough on cool cookie sheets to prevent them from melting before baking! Snickerdoodle cookies can be stored for up to a week at room temperature in an airtight container. I prefer to use flavorless canola oil in this easy recipe for snickerdoodle cookies, but feel free to use your favorite oil. Preheat the oven to 350F degrees. Line your baking sheets with parchment paper or nonstick foil or silicone liners. If you prefer not to line your sheets, lightly grease them with nonstick cooking spray or vegetable oil. In a large bowl, place the cake mix, oil, eggs and nutmeg. 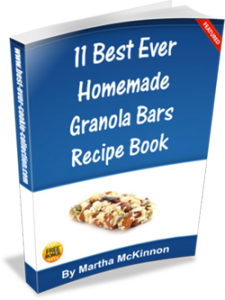 Mix with a wooden spoon until all ingredients are moistened and just blended. This dough will be very stiff. In a small bowl, combine the sugar and cinnamon. Shape dough into 1-inch balls by rolling them between your palms and roll them in the sugar-cinnamon mixture to coat. Place balls 2 inches apart on your prepared cookie sheets. Bake for 10 to 12 minutes, or until edges are pale golden and just set and the tops are just barely set and still soft when lightly touched with your fingertip. You don't want to over bake these since they are best when still chewy in the center. Remove from the oven and allow to cool for a minute or two on the pan and then transfer the snickerdoodles to a wire rack to cool completely. Store at room temperature in an airtight container for up to a week. This recipe makes about 48 snickerdoodles cookies. 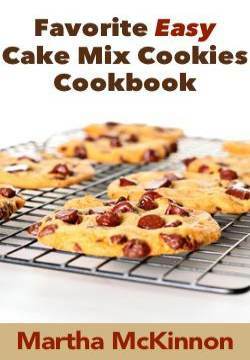 Recipe Source: Cake Mix Cookies: More Than 175 Delectable Cookie Recipes That Begin With a Box of Cake Mix by Camilla Saulsbury. In a medium size mixing bowl crumble the sugar cookie dough. With your hands or a wooden spoon knead or stir the flour into the dough to make it a bit stiffer so it can be rolled into balls. Bake for 10 to 14 minutes, or until edges are pale golden and just set and the tops are just barely set and still soft when lightly touched with your fingertip. You don't want to over bake these since they are best when still chewy in the center. This recipe makes about 2 1/2 to 3 dozen snickerdoodle cookies. Do you prefer to make classic snickerdoodle cookies from scratch? We've got a tried-and-true old-fashioned snickerdoodle cookie recipe just for you.